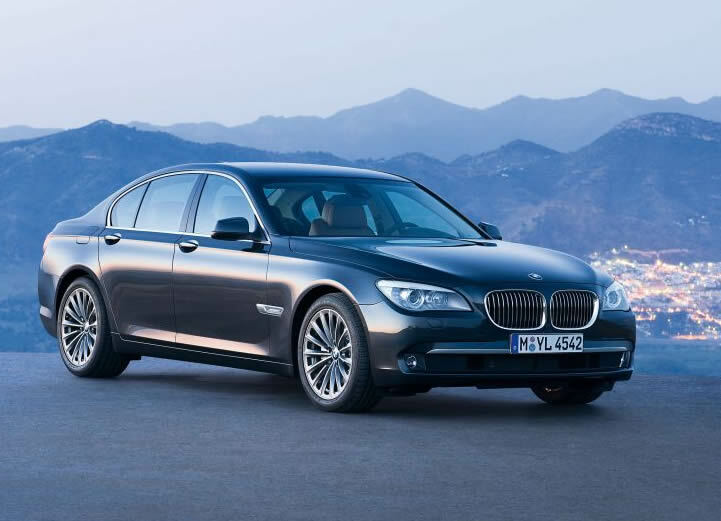 The BMW 7-Series has always been a very important car to look at for those who loves BMWs. As the flagship model, new design cues and technology more often than not makes its debut on the 7-Series first and then slowly trickles down the rest of the model range. Lets have a close look at the new F01 7-Series after the jump. 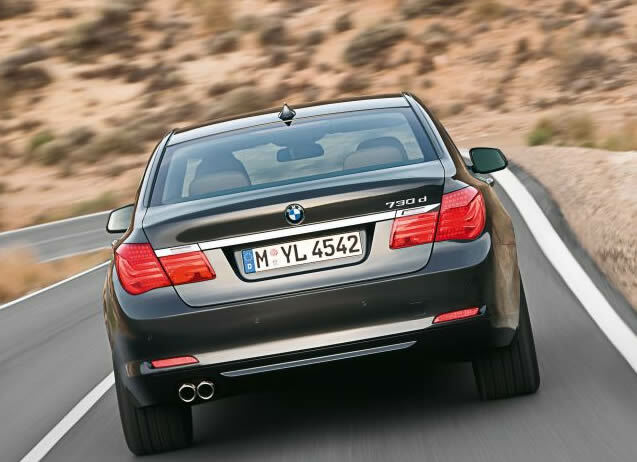 BMW makes no attempt to hide the bulk of the car (no crease lines by the side etc), in fact the rear end looks so large you might mistake it for an SUVs at certain angles. The front end is quite clearly inspired by the BMW CS Concept, from the large nostrils to the headlamps which actually have a similiar internal configuration of individual lamps and eyebrow but differing slightly in shape. From the front three quarter angle it reminds me of a distorted E39 5-Series - there is the similiar engine hood, kidney grille shape (though not the same size) and a similiar bumper to the post-facelift E39. Three models were revealed at launch time - the 740i, 750i and 730d, although you can be sure for the Malaysian market well see a 730i. BMW seems to have made a transition to embracing turbocharging very quickly - just a few years ago they were an all-normally-aspirated brand when it comes to gasoline engines. 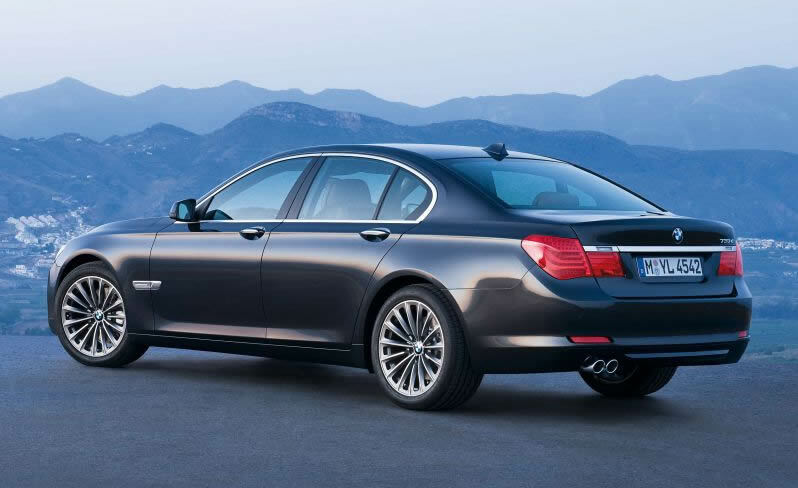 WIth the new 7-Series, all of its debut engine offerings are turbocharged! The top of the range 750i is powered by the N63B44 4.4 liter twin turbocharged V8 which made a world debut in the BMW X6 xDrive50i. In the 7-Series it produces 407hp between 5,500 to 6,400rpm and a peak torque of 600Nm between 1,750rpm and 4,500rpm, and takes the car from 0 to 100km/h in 5.2 seconds. 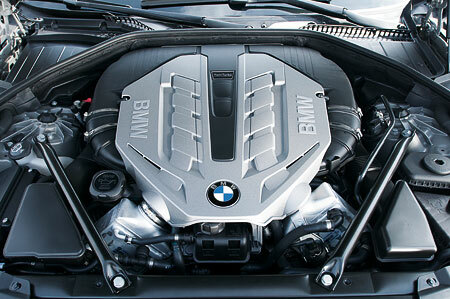 The 740i is powered by the N54B30 3.0 liter twin turbocharged inline-6. The 740i (rather than a 735i) designation is due to a higher power output of 326hp at 5,800rpm in the 7-Series installation as compared to the version in the 135i and 335i. Peak torque of 450Nm is reached at a very low 1,500rpm. 0 to 100km/h with the 740i is 5.9 seconds. Surprisingly, an 8-speed transmission did not make its debut with this new F01 7-Series. The transmission used for all models is still a 6-speed with ultra fast lock-up clutch function in all gears and the ability to shift down multiple gears (up to 4 at once!) with no extra delay compared to shifting down a single gear. ZFs 8HP transmission will probably make its debut when a 760Li V12 is added to the range later. Shifting is via a shift-by-wire system, transmitting shift instructions to the gearbox from the new gear lever via electronic signals rather than a mechanical linkage. The gear lever is now moved to a more conventional location compared to the E65 / E66s steering column mounted lever. The behaviour of Dynamic Damping Control is influenced by the Dynamic Driving Control system which has three modes - COMFORT, NORMAL, SPORTS and SPORTS+ settings, which also modify the cars steering assistance, accelerator pedal behaviour, and automatic transmission gearshift dynamics. Dynamic Damping Control behaviour can also be set independently of all the other variables affected by the Dynamic Driving Control mode via the iDrive interface. The massage seats feature twelve massage bubbles and six rotation bubbles integrated in the backrest to relax the occupants thorax, shoulder and lumbar. There is also a feature where the seat bottom can move up and down intermittently to prevent any cramped feelings for long journeys. What is real are the dials, indicator needles, and scale markings. The rest including speedometer and rev meter numbers and all other warnings and indicators are displayed via the colour LCD. BMW calls this the Black Panel. The new 7-Series has the next generation of BMW iDrive. iDrive allows the driver to control the entertainment, information, GPS navigation and telecommunication functions of the car. The two main interfaces of iDrive have been upgraded substantially - the iDrive controller knob and the iDrive display. The iDrive controller knob now has three modes of input - turning, pushing and tipping. You tip (tilt?) the controller from side to side for horizontal scrolling functions, and turn clockwise and anticlockwise for vertical scrolling functions. Pushing is only four-way, give the knob a little tug north, south east or west. Finally there is pressing down on the button for selection. There is also one more additional input method - voice control, an obvious response to the LINGUATRONIC system from Mercedes-Benz. You activate voice control from a button on the steering wheel. Commands for voice entry (what to say) are shown on the display, and the system also accepts synonyms of the terms. The iDrive display is now a delicious 10.2 inch high resolution LCD panel that can display 1280 x 480 pixels, which means the display is capable of the resolution width of a typical 17 or 19 inch 4:3 LCD monitor. This should allow everything especially navigation maps to be displayed with greater detail and clarity. There is a very good use for the high display resolution - text. iDrives ConnectedDrive system now has full web browsing capabilities. 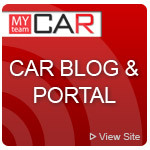 The car dials up to the internet via GSM, GPRS or EDGE. You just need a SIM card with a data plan. Its a shame there is no 3G. A mouse pointer can be controlled via pushing the iDrive knob in four directions, and pushing it down to register a click. 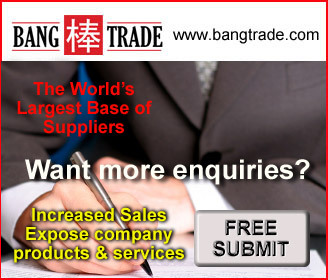 The user can also zoom into text on a web page by a factor of 1.5 or 2. For safety reasons, the web browser may only be activated when the car is at a standstill. The iDrive display can also display video feeds from a wide angle camera at the rear, or two front-end cameras integrated into the front bumper to help with parking. There is also an integrated owners manual somewhere in the menu. As mentioned before, the long wheelbase modules can opt for two a rear seat entertainment system. Here we go into details - there are two actually. One is the Rear Seat Entertainment Mid System, which allows the rear seat passengers to operate the entertainment system via remote control on two 8 inch monitors. The monitors can show different sources at once. 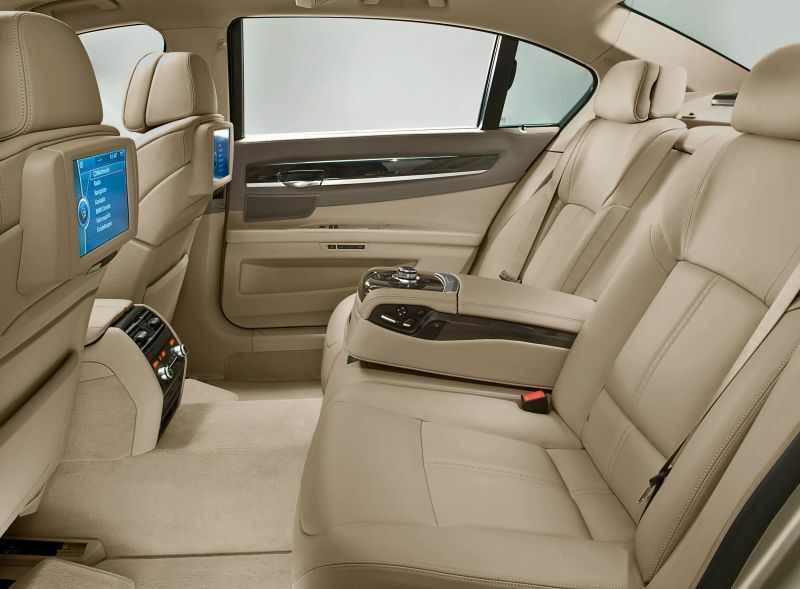 The other would be the Rear Seat Entertainment High System which bumps the LCD size up to 9.2 inches and feature an iDrive controller on the rear bench center armrest. 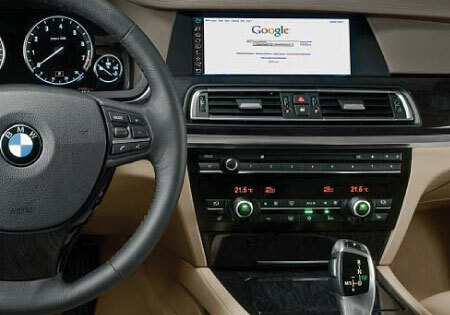 This iDrive controller can operate the navigation and telecommunication functions, including surfing the internet on its own screen without displaying it on the iDrive screen in front. 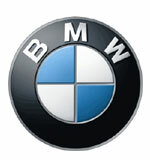 BMWs iDrive Navigation now features 3D maps. You can either display the nav screen in split screen mode with the route on the left and a map on the right, or a full screen navi mode with the 10.2 inch display showing the map in full glory. The maps now represent elevations more accurately when driving through mountainous or hilly areas. In certain cases 3D representation of buildings in the area is also available. The F01 chassis is built out of high and ultra-high tensile steel as well as aluminium. The roof is all-aluminium, shaving off approximately 7kg and lowering the cars center of gravity. Other parts made of aluminium include the engine hood, the doors, front fenders, front spring supports and suspension arms. Standard airbag fitment include front, hip/thorax and curtain head side airbags. There are ABS brakes naturally, and during hard braking that activates the ABS function the Adaptive Brake Lights light up flashing with a higher intensity. Hazard warning flashes are automatically switched on when you brake hard to a stand still. The headlamps have two options - Headlight Assistant and Adaptive Headlights. The Headlight Assistant system turns on the high beam automatically when there are no cars up ahead. Adaptive Headlights adds a few more features to the headlamps. One is the ability to switch on an additional light beam when the driver turns into a corner, illuminating the area head in the corner. Adaptive Headlight Range Control adjusts the beam angle automatically over different road vertical contours. Variable light distribution enlarges the beam wider at speeds below 50km/h, but switches to a highway mode that shines further. The foglamps work in a similiar way, except the switchover point is 70km/h. Optional Active Cruise Control (as opposed to standard cruise control) with integrated stop and go allows the driver to maintain a set distance from the car in front up to a maximum set cruise speed limit that works even in slow irregular traffic such as traffic jams. A Speed Limit Display system uses a camera near the rear view mirror to watch out for traffic signs by the side of the road and automatically recognises the numbers of the speed limit signage. 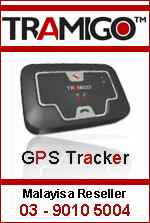 It can also use speed limit data from the GPS navigation systems maps, but priority is given to the speed limit captured by the camera. BMW Night Vision uses a thermal imaging camera that displays a video feed to the BMW iDrive system. Its been introduced before in cars like the E60 facelift, but this time the night vision system can identify individual persons in the display and show them as yellow so the driver can easily spot them in the thermal video feed. ision uses a thermal imaging camera that displays a video feed to the BMW iDrive system. Its been introduced before in cars like the E60 facelift, but this time the night vision system can identify individual persons in the display and show them as yellow so the driver can easily spot them in the thermal video feed.